Based on the current market CMA, what would an upward or lower price adjustment look like? A proper list price that reflects current and realistic market conditions is critical to sell Your Home Fast. We don’t want you to under–price, but it’s worse to over–price in any market. Buyers discount value by DOM, Days On Market. The longer a home stays on the market, the greater they’ll discount their offers. So, a realistic list price is how we make sure your property sells without languishing in the market. How do we come up with a suggested list price that reflects your home’s competitive position? It’s a combination of services and experience, and we’re going to be very careful and detailed in our analysis and market evaluations to make sure that you don’t leave money on the table or sit around wondering why you aren’t getting offers. 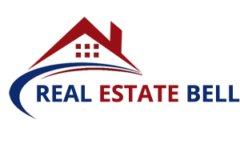 Our MD/Washington/VA real estate agents can help you. Our evaluation of how your property compares to the current competition is the first step. Then we may suggest some worthwhile corrections you can make to improve that position. Once we know what your home will look like when listed, we’ll go into our thorough CMA (Comparative Market Analysis) process. First we select comparable properties out of those sold recently. These “comparables” or “comps” are selected based on similarity in features, location and characteristics with your home. They must have been sold as recently as possible so the sold prices are of maximum value. We then go through the detailed “adjustment” process in order to adjust your property in an improved way. If a home has one more bedroom than yours, we would adjust that property’s sold price downward for the value of one bedroom to make the comparison “apples to apples.” We make adjustments for garages, bathrooms and other major features to bring our comps close to your house’s comditions. Then we use those sold prices to arrive at a preliminary listing price for your home. Now we get more comps which are still deemed as your competitors i.e. they are currently listed. We go through the same adjustment process, and we come up with another, possibly higher or lower price suggestions for your home. This second CMA gives us more up–to–date information about the market which could cause us to lower or raise our preliminary list price to adjust to the current market. Using the two CMA results and an experienced analysis of your home’s position in the marketplace, we can set a listing price that will get the job done.